With this decision, Houston joins six other jurisdictions challenging the SB4, including Austin, Dallas and San Antonio. 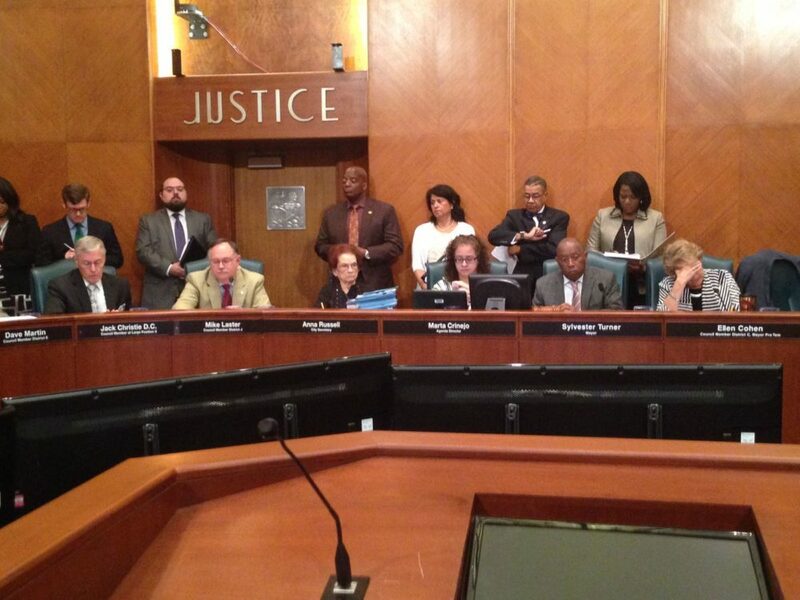 The Houston City Council voted on joining the litigation against SB4 during its June 21st meeting. The Houston City Council passed a Resolution today to join the litigation against Texas over the Constitutionality of the State law about so-called sanctuary cities, commonly known as SB4. The vote tally was 10 to 6, with Mayor Sylvester Turner voting in favor of the Resolution and At-Large Position 5 Council Member Jack Christie being absent during the vote. 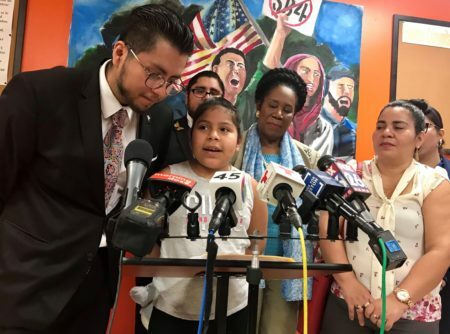 SB4, which allows local police to ask for proof of legal status when detaining someone and demands cooperation with the Department of Homeland Security, has raised fear in the immigrant community and hasn’t been welcomed in the law enforcement community because of its many implications, as explained by the two top local chiefs, Houston Police Department’s Art Acevedo, and Harris County Sheriff Ed Gonzalez. Council Members Brenda Stardig, Steve Le, Greg Travis, Dave Martin, Mike Knox and Michael Kubosh voted against the City suing the State because of the law. 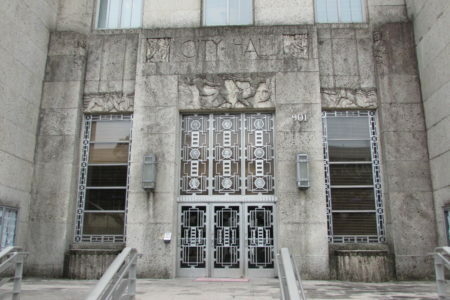 Human rights, public safety and the welfare of Houston’s business community were some of the arguments presented by the Council Members who supported the Resolution to sue. Karla Cisneros, who represents District H, referred to Acevedo’s concerns about SB Four during the debate about the Resolution. “I think his comments are alarming and I want to read just a few of the things he has said. He says we don’t have the resources, nor do we have the bandwidth to be ICE agents,” said Cisneros while she addressed her colleagues. On the other hand, the Council Members who voted against the lawsuit alluded to not seeing a clear reason to join the litigation and also voiced their concern about the possibility the City could lose State and Federal funding because of fighting SB4 in the courts. With this decision, Houston joins six other jurisdictions challenging the SB4, which are Austin, Dallas, San Antonio, Bexar, Travis, El Cenizo, and El Paso. 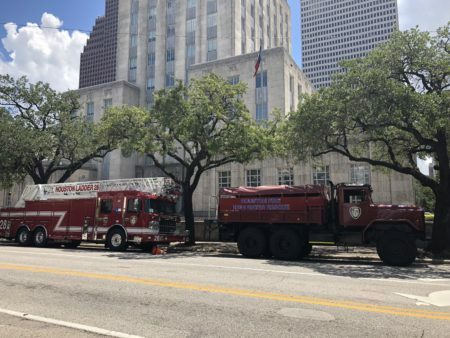 “Houstonians are expecting us to stand up and protect their interests, not to defer to somebody else,” Mayor Turner commented in this regard during the customary press conference held after the City Council meeting. Some activists who support the City’s upcoming lawsuit were in the Council’s chamber and celebrated the outcome of the vote.